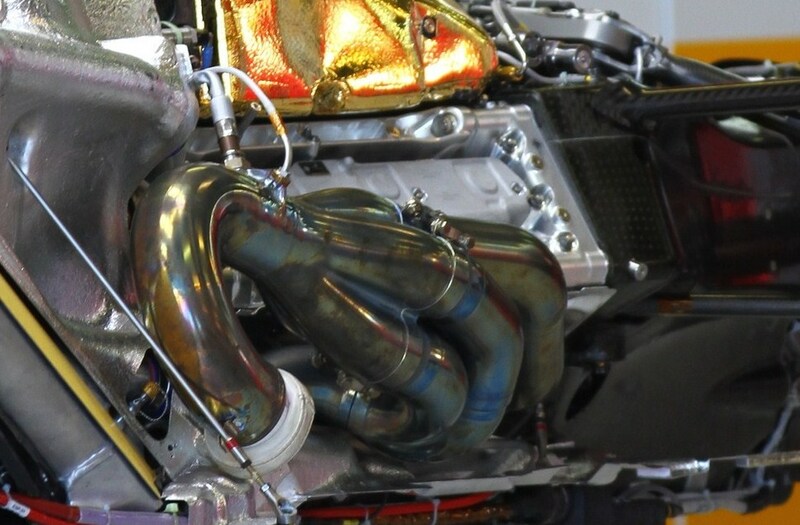 This entry was posted in 2011 Rules, Australia 2011, Exhaust Driven Diffuser, Ferrari F150 by scarbsf1. Bookmark the permalink. 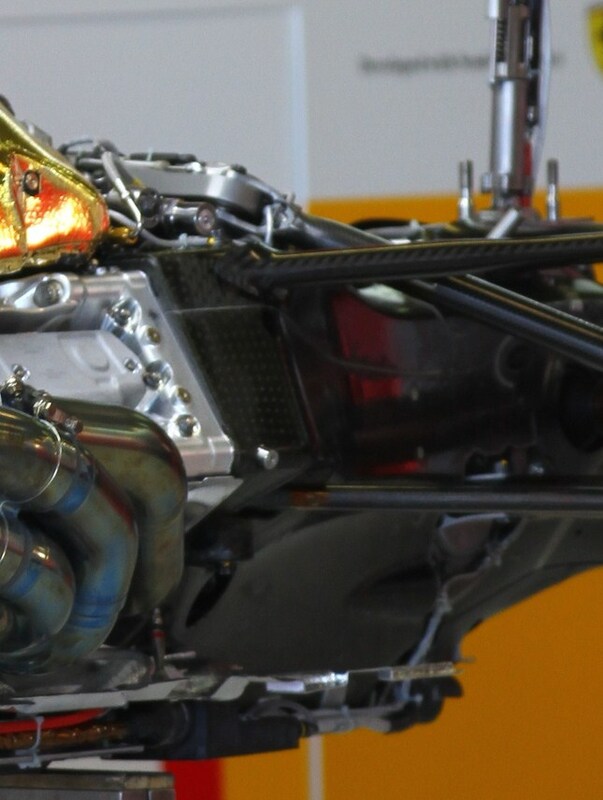 Great stripdown pictures, just a small correction at “in comparison to the recently favoured pushrod” – it should be pullrod, I guess ? 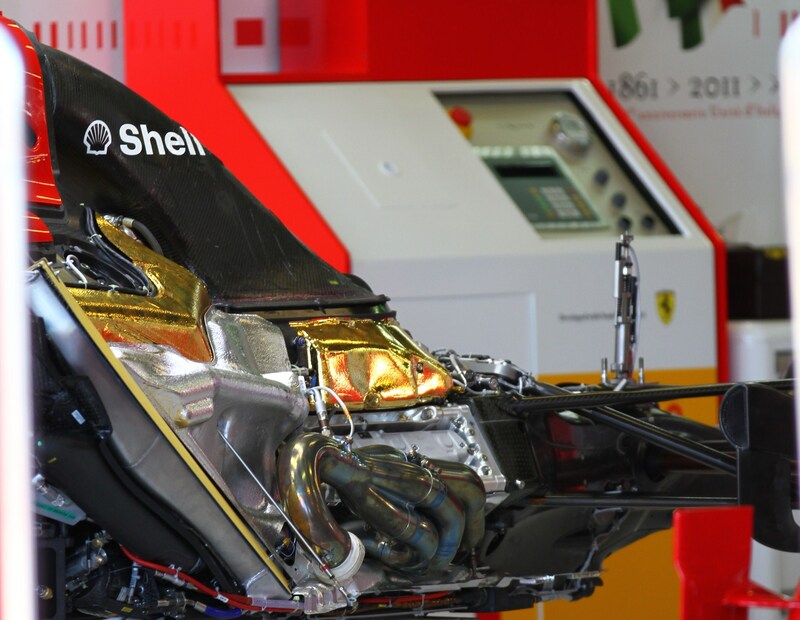 Are those gold foils to reflect and radiate heat better ??? 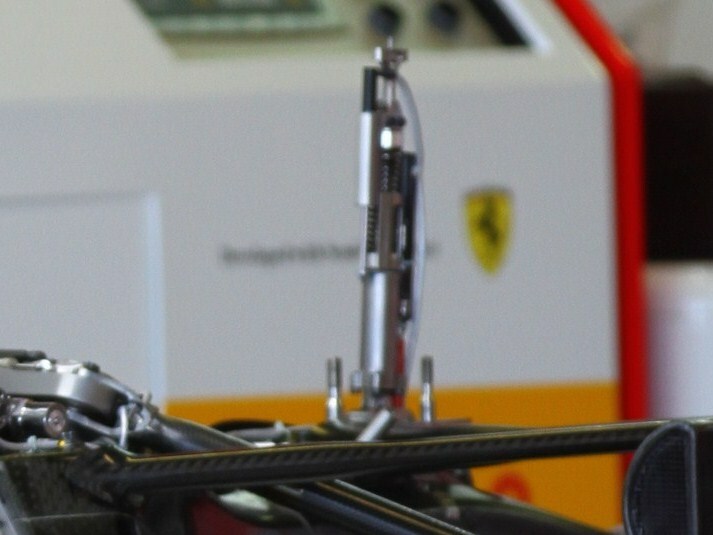 Scarbs, Is Ferrari still tilting up the engine/gearbox? It doesn’t look parallel to the ground in those pictures. With the loss if the double diffuser, the benefit of tilted drivetrain is negated. I don’t believe they tilt it this year.